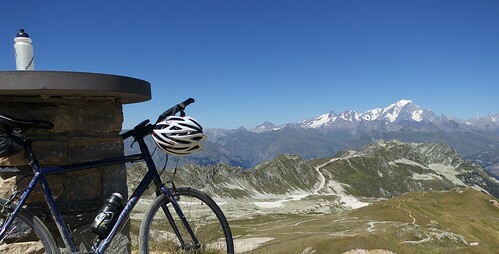 Above: Col de Chal (2460 metres) well behind me. 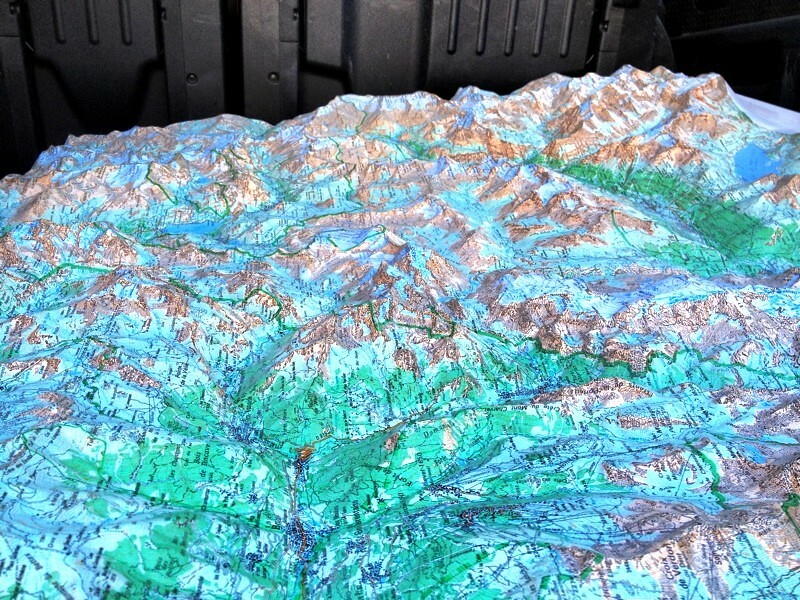 So ….. on the way to Les Arcs my wife threw me out of the car at Landry …. and I crossed my fingers that I’d see her again before sunset. The first 10 kilometres of my route were paved and quite fun. 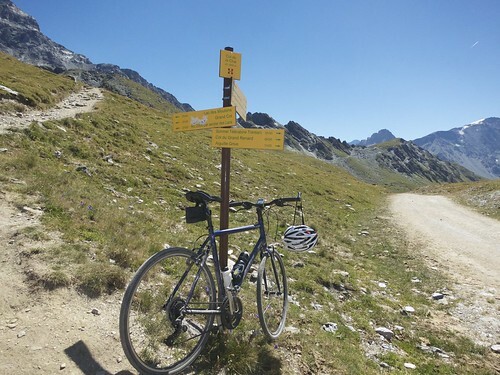 And a road biker could go further: Either turning up to Plan Peisy (12 kms from Landry and paved to 1650 metres) or continuing to La Gura (12 kms from Landry and paved to 1550 metres …. unpaved beyond). After 10 kms, I turned off onto a small gravel farm route. From here on the route is deserted, steep, and really fun. It starts climbing through a forest up the side of a mountain. 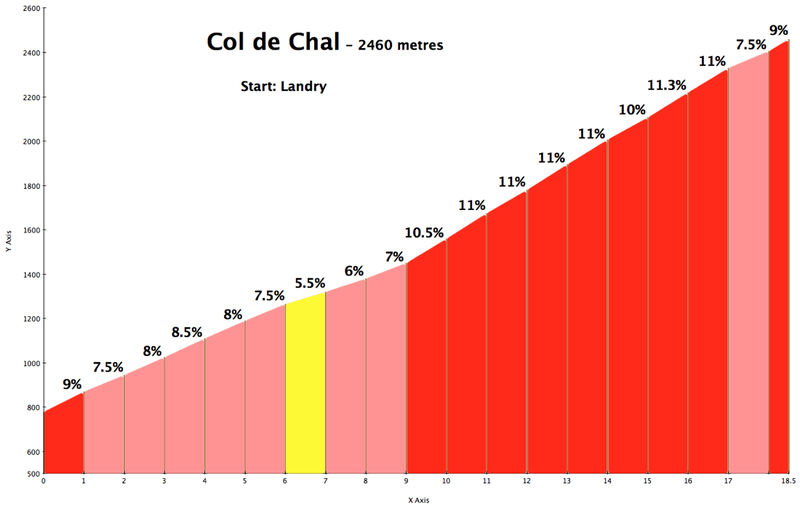 This is a difficult climb – just look at the profile above. 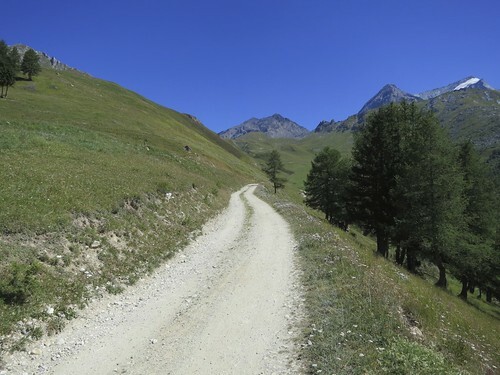 Plus it is at times rocky with lots of slippery gravel. 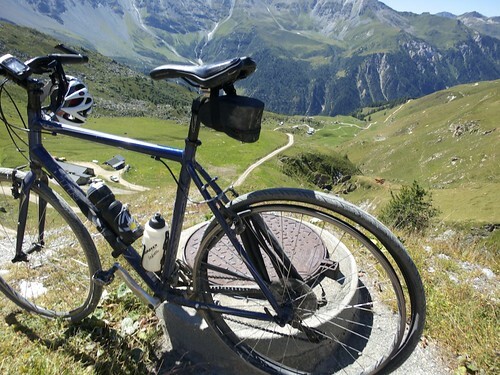 But it is definitely ride-able — never ridiculously steep … I never needed to push. 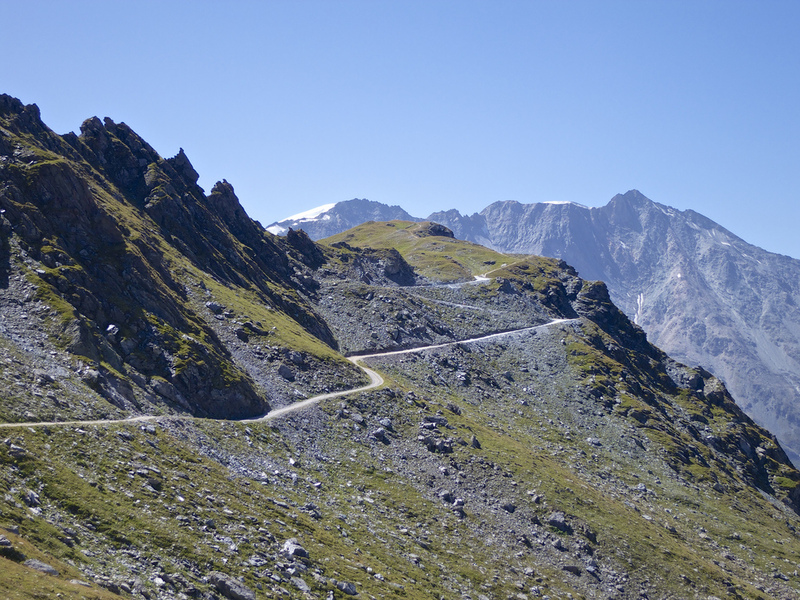 Soon, it becomes a series of great hairpins, heading up and over – glaciers to the right. Unfortunately, at roughly 2300 metres, on a rough stretch, my inner tub was ripped out of the tire and caught in my wheel. Yikes, I thought I was in serious trouble. Luckily no damage to the tire. 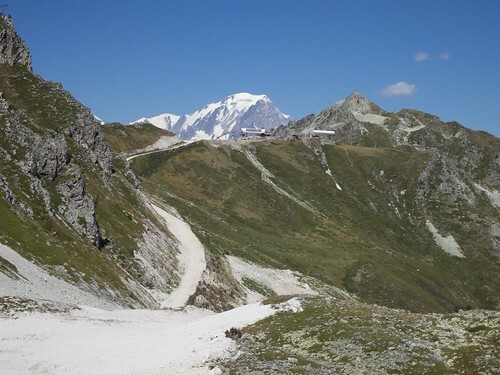 At Col de Chal, I was now entering the valley above Les Arcs ski station – and my hotel down at 1950 metres. 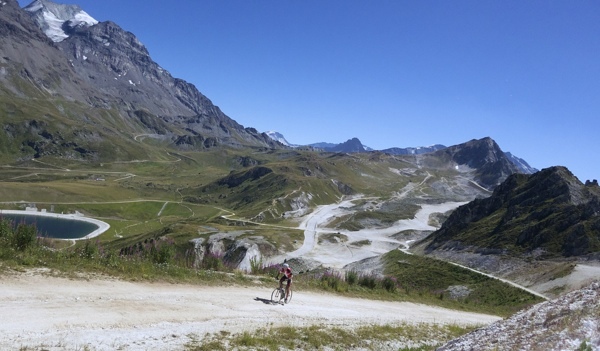 This is a truly beautiful place to ride – paths everywhere. 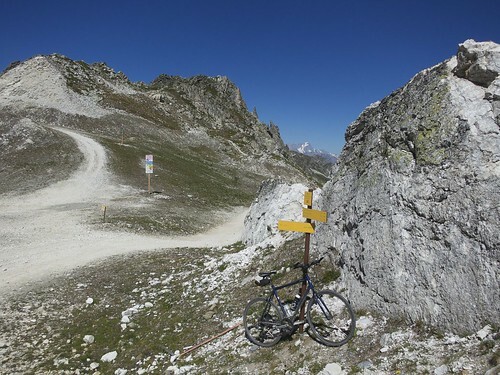 Then a quick descent over to Col du Grand Renard (see map and small photo above). I took a little risk trying this route without knowing much about it, but I can’t recommend it enough. 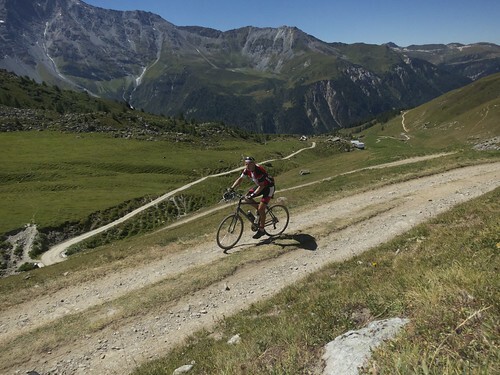 Plus, Les Arc 1950 is a beautiful village and perfect base for both skiing in winter and biking in summer. Although almost all the cyclists were downhill guys using the chairlifts … Booooooo!